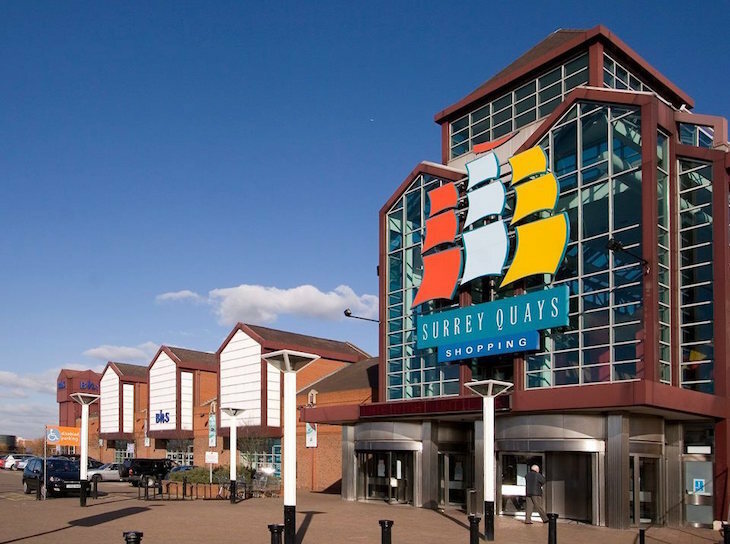 What Is There To Do In Surrey Quays? Laura Reynolds What Is There To Do In Surrey Quays? Whether you're looking for a new area of London to explore, or simply have some time to kill in the Surrey Quays area, take a look at what there is to do in this oft-overlooked corner of London. Read the plaques dotted around Greenland Docks, which document the area's past in the whaling trade. Imagine the whiff that once wafted out of the bubber boiling houses here. Once that's whetted your historical whistle, sign up to one of Paul Talling's Grand Surrey Canal walks, which tracks the long lost waterway that once flowed through Surrey Quays. Note: these walks sell out WELL in advance. 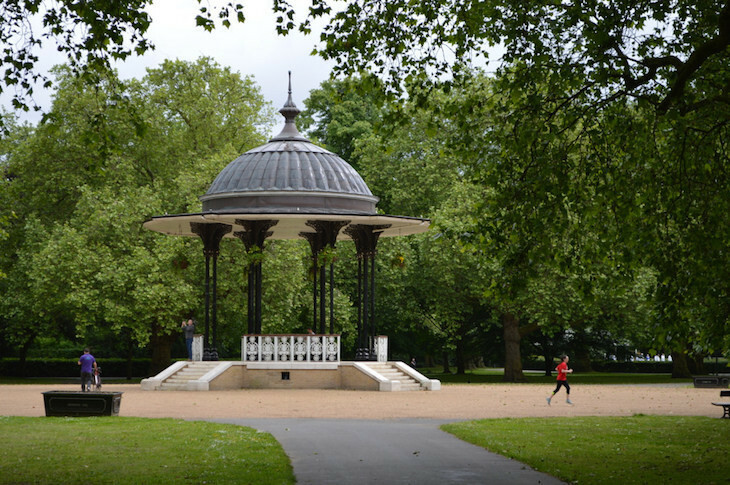 Right across the road from Surrey Quays station is Southwark Park, which comes with its own set of amusements including a café, wildlife garden, formal English garden and a boating lake. CGP London is an art gallery within Southwark Park, with regular free exhibitions taking place here and at its sister site Dilston Grove — also in the park. Why not drop in and see what's on. Try your hand at kayaking, rowing, windsurfing and more at Surrey Docks Watersport Centre in the fully-enclosed Greenland Dock. As well as adult sessions, kids' courses run during school holidays. And did we mention you can hover above the water in a jetpack? Surrey Quays Shopping Centre, while no match for Westfield, has enough shops to while away a chunk of time, mainly high street chains. A short waterside walk from the main shopping centre is the sizeable Decathlon sports store, where it's always fun to play a game of dodge-the-kids-who-are-testing-the-bikes. The nine-screen Odeon Surrey Quays is somewhere to camp out in bad weather, as it shows a solid programme of newly-released films in both 2D and 3D. Limber up and hurl balls at the pins at Hollywood Bowl, an indoor alley complete with VIP lanes for those who fancy splashing out. For the full experience, play on the arcade games and tuck into food and drink at the American-style diner. Hello, 1990s kids birthday party. Less than 20 minutes walk from Surrey Quays station, close to the river, is Surrey Docks Farm. 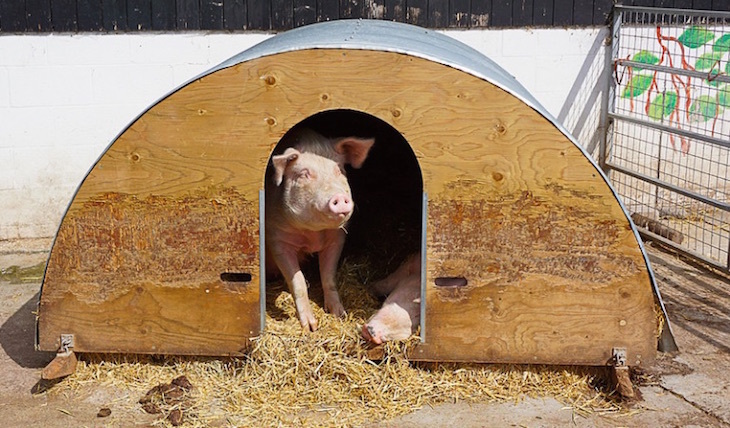 For a suggested donation of £3, you can visit pigs, sheep, goats and other farm-dwelling creatures. There's even a working blacksmith's forge — and of course the obligatory cafe. It's mainly chain restaurants and bars round these parts, with the shopping centre home to the likes of Starbucks and Burger King, and Frankie & Benny's and Pizza Hut also on the retail estate. There are exceptions. Cafe East is an often-crowded Vietnamese restaurant, just across from the shopping centre. It does all the classics: summer rolls, lemongrass pork chops and big steaming bowls of pho. Prices are more than reasonable. Ma Po (176 Lower Road) is cheap too, and offers hotpots into which you can chuck the likes of squid, chicken gizzards, and, er, ear fungus. The Yellow House has an extensive pubby menu — everything from steaks to pizza to Sunday roasts. Otherwise, decent boozers are slim pickings, especially now the floating Wibbly Wobbly is gone. The Surrey Docks has a Wetherspoon right near the station (OK for a budget pint). 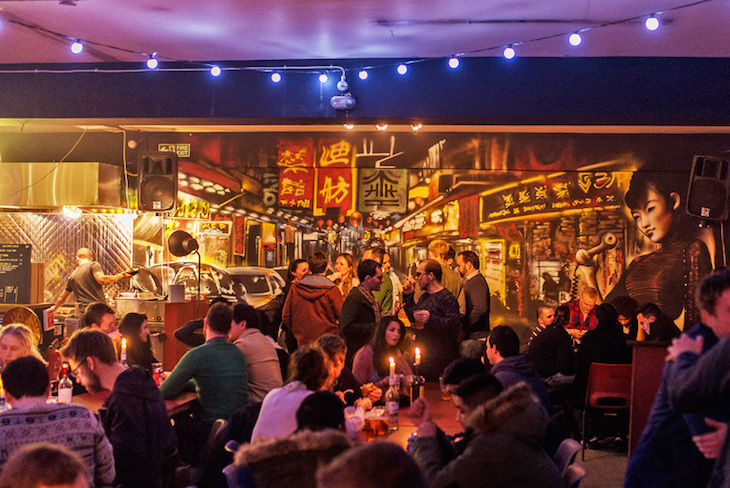 Sightly further afield, Street Feast Hawker House takes place every Friday and Saturday night with street food and bars. Here's where you'll get your fill of craft beers and cocktails — as well as very good food. See also: what is there to do in Canary Wharf?